Astilbe 'Younique Cerise' features dense cherry-red to hot pink plumes on short mounds of rich green foliage. 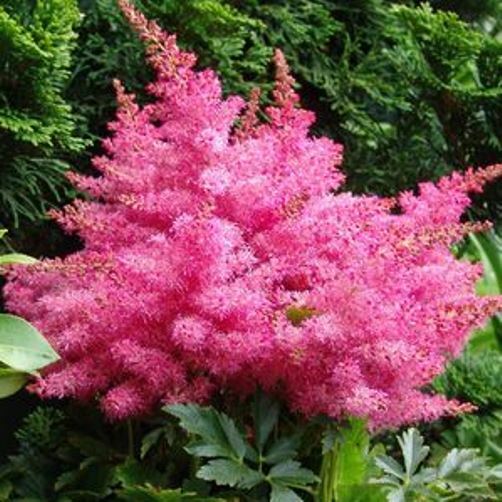 Besides the unique new color of the flowers this new early bloomer is more heat and drought tolerant than most other false spirea. PP#20661.